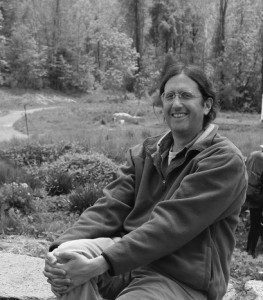 Glenn Motzkin is a plant ecologist interested in patterns of species distribution, vegetation dynamics, disturbance history, and the application of historical ecology to conservation in New England. Glenn has studied a wide range of natural communities, with particular interests in the history and dynamics of uncommon communities that support rare species and are priorities for conservation. Glenn is currently an independent ecological consultant, having previously worked as Plant Ecologist at Harvard Forest in Petersham, MA. A part-time member of the faculty, Glenn teaches a weekly ecology class and leads many of the weekly field work sessions, and twice each term consults with students about their projects in the studio.